Welcome to Jackson Fire Department.! Learn more about station tours and our community outreach programs related to fire and life safety.. The city of Jackson Missouri is now accepting applications for career and part-time Firefighters. Qualified applicants will be selected to participate in the hiring selection process. Those successfully completing will be placed on a eligibility list. Welcome to the Jackson Fire Department website! As a full service agency, Jackson Fire Rescue has the welfare of its residents and businesses at the center of concern. It is our duty and privilege to respond to public safety and medical emergencies, fires, hazardous material emergencies and natural disasters. 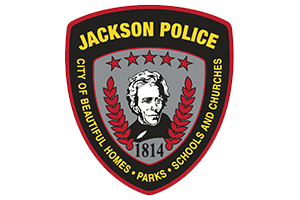 The Department protects the lives and property of the residents and visitors of Jackson each day through the commitment of it's dedicated personnel. TEAMWORK WITH A COMMITMENT TO EXCELLENCE. TO BEST SERVE OUR COMMUNITY BY PROVIDING THE HIGHEST LEVEL OF PROTECTION OF LIFE AND PROPERTY THROUGH TRAINING AND PUBLIC EDUCATION.